An ORV is defined as a ATV, motorcycle (dirt-bike), or UTV. A golf cart IS NOT considered an ORV by State Laws and Rules. All Golf Carts and ORVs must be registered with the office along with either a valid drivers license or ORV safety certificate for each operator. 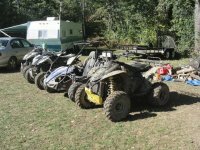 Beginning with the 2015 camping season, the campground has decided to adopt the State of Michigan ORV Rules and Guidelines. 2015 ORV Handbooks are available in the office. In order to ride on Wesleyan Woods property, a rider or operator must show a valid driver's license or State of Michigan ORV Safety certificate. A copy will be placed with your registration information and kept on file. We are trying to schedule ORV safety classes at the campground and those classes will be posted in the calendar and on our Facebook page. There is an State of Michigan approved online ORV safety course is now available at www.offroaded.com/michigan or www.atvcourse.com/usa/michigan. Parking or unloading trailers along the canal trail is no longer allowed. The open areas along the canal have been planted with food plots. The trails that ran from the full hook-up area to the canal have been closed to ORV traffic. The ORV trails are open from May 15 thru Oct. 15. 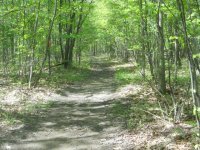 The trails are closed to ORV Traffic during East Michigan District Family Camp and the Hunter's Retreat Weekends. If you have a seasonal pass, you do not need to camp to enjoy the trails. Stop in the office as you enter the campground to sign in. This allows camp personel to know who is using the trails and that liability forms have been signed. Please Make Note: Wesleyan Woods is private property and grants users permission to operate ORVs on the designated trails. You have permission to operate your ORV on Wesleyan Woods property as long as you follow all the rules. Anyone operating an ORV in an unsafe manner will be asked to leave immediately. If you can't follow all the rules, then you don't have permission to operate your ORV on Wesleyan Woods property. The parents or legal guardians of a child under the age of 16 are legally responsible if they permit the child under their care to violate any of the ORV laws. The owner (or person in control) of an ORV is also responsible if his or her ORV is operated by a youngster. Age and Engine Size: For your child's safety and comfort, you must match your child with an ORV that is appropriate for his or her size and experience level. All ATV, Dirt Bikes, UTVs (side-by-side), go-carts/dune buggies and Golf Carts must be registered with the office upon arrival. Registration forms are available in the office or online. Daily/weekend bands or seasonal passes must be visible. Upon registration, all riders must present either a valid driver’s license or ORV safety certificate. Copies will be made and placed with the registration. Riders that do not have a safety certificate will not be allowed to ride on Wesleyan Woods property. Only licensed drivers or operators with a learner's permit can operate a Golf Carts/UTV inside the campground. Operators with a learner's permit must be accompanied by a licensed adult over 21. Golf Cart Exception: may be driven by 12 to 15 yr olds with a parent or legal guardian in the front seat. Golf Carts may not be driven after dark unless equipped with headlights and should be driven only on the roadways. Golf Carts are allowed on the trails at their own risk. Wesleyan Woods is not responsible if your cart gets stuck or any damage that may occur. UTVs (side by sides) will be treated as Golf Carts and will be allowed to operate inside the camping area. The posted speed limit is 5 mph inside the camp. For rules on riders less than 12 years old please refer to the age chart above. Riders less than 16 years of age must be in direct supervision by an adult (over 21 yrs.) when riding. Only machines designated as a Two-Person machine is allowed to carry a passenger. Current Manufacturers of 2 person ATVs are Arctic Cat, Can-Am, Polaris and some off-brands. Japanese Manufacturers (Honda, Kawasaki, Suzuki, and Yamaha) DO NOT have a 2-seater in their line-up. No exceptions. Only ride in designated areas. Maps are available at the office. All ATV/dirt bikes must have a U.S. Forest Service–approved spark arrestor and muffler in good working condition, in constant operation, and meeting applicable sound-level standards. Classification: A Go-cart usually has Briggs & Stratton or Kohler motor which is classified by a horsepower rating. A dune buggy is classified by the size of the motor in CCs, normally 150cc or 250cc. All riders must wear a helmet regardless if they have a roll cage or seatbelts. Go-carts are to be ridden on the go cart track. Dune buggies can be ridden on the trails and in the sand pit. Age restrictions do apply to go-carts and dune buggies. The purpose of the Go Cart Track is to provide an area for those under 12 or inexperienced riders a place to learn how to safely operate an go cart/dirt bike in a controlled environment. Parental or legal guardian direct supervision is REQUIRED (no exceptions). More experienced riders cannot use the track. The track is not for racing.There will be no jumping at the go cart track allowed. Go-carts are to be driven on the go cart track. Bicycles can use the area when it is not in use. No more than 3 ORVs at one time allowed on the track. All riders must follow in the same direction. The preferred direction is marked. The trails are open from 10am until 7pm during the camping season. Trails are open from May 15th until Oct. 15th. The trails are closed during EMD Family Camp Week and the Hunter’s Retreat Weekend. The campground reserves the right to close a portion or all of the trails due to severe weather or if trails are in unsafe conditions (example: down trees or wash outs). Be mindful of other riders while on the trails. Pedestrians and golf carts use the trails as well. Anyone operating an ATV/ dirt bike in an unsafe manner will be asked to leave immediately. The Staging Area is marked on the camp map. One can load and unload their machines. This area is also to park the ORV trailers and it will have a wash station set up to clean people and machines. A hitching post/cable is available to secure your machines. You must provide your own lock and chain. ORV trailers can be parked in the Wesley Center or Dining Hall parking lots. The area around the nursery IS NOT a designated parking area. Parking along the canal road is no longer allowed. Food plots are planted on both sides of the road where it permits. The designated parking areas are posted. Any exceptions will be in writing and signed by either the Camp Director or Trail Supervisor. Any written exceptions must be presented when asked by a staff member. Failure to provide any written proof will result in the machine being parked for the reminder of the stay or the remaining season. Reading this is the first warning. Second Warning results in being asked to trailer the machine for the reminder of the weekend or stay. Third Warning results in a ban for the remaining season and record on file in office. Failure to follow any rule will result in the loss of any registration fees paid. Wesleyan Woods staff has the authority to enforce the rules and to question if they feel a rule is being broken. Rate for Seasonal/100-Day Campers: $150 for the 1st unit, $20 for each additional unit up to 4 units total. 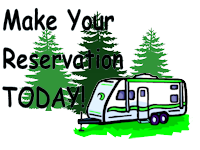 Weekly Rate for Campers: $20 per unit for 1 week. Daily Rate for non-campers: $20 per unit, per day. All fees to be paid upon arrival at front entrance, no refunds! The trail map, ORV registration form and ORV liability form are available in the office. The current forms may also be downloaded, filled out and turned in when you check-in. Download the 2015 ORV map, forms. and current 2015 Rules.